Plot No.23, HIG II Behind Scholars Int. School Alkapoor Township, Manikonda, Hyderabad - 500089, India. Hallmark constructions is incepted in the year 2008 and since then the organization has been setting benchmarks in the industry in terms of unprecedented quality, design, innovation and trust. The team is headed by Mr. Ashok Reddy, Mr. Srinivas Reddy who have been instrumental in formulating the principles of this organization. It’s under their eminent guidance and brilliance that the organization’s success stands unsurpassed. Our key board members include versatile talents from the fields of engineering, architecture and construction who form part and parcel of our core wings of construction. Our recognition is by our innovative approach and creative modelling of each project which takes its ground from the client’s expectations. 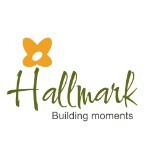 And possibly this is reason why Hallmark has been the first choice ever of the everlasting smiles.